y name is Bogdan Ceausescu and I’m a self-taught graphic designer born in a small town in Romania, currently working and living in Bucharest. When I was studying computer science I discovered graphic design thanks to a music promoter. So I started quite late” says the man who got our typographic senses by surprise with those minimal pumping gig posters of his. We decided to have a quick chat with a man who is not DJing anymore, yet his “sets” are filled with those graphic design elements that would fit to “a well-drawn grotesque :)” font, the kind Ceausescu relates to the most. The chat is accompanied by its own soundtrack so, press play, design, repeat. What is your first typographic memory you can recall? It is related to music. I remember when I was a teenager I used to listen to various bands while being charmed of nice album covers in a graphic way. Then, I would try to redraw the band names using that specific font style on a piece of paper. What are the typographic elements you use most often and for what reason? Trying to find a balance between functionality and visual appeal. I’m experimenting with fonts, contrasts, sizes and weights and get quite fascinated by the endless combinations typography allows. 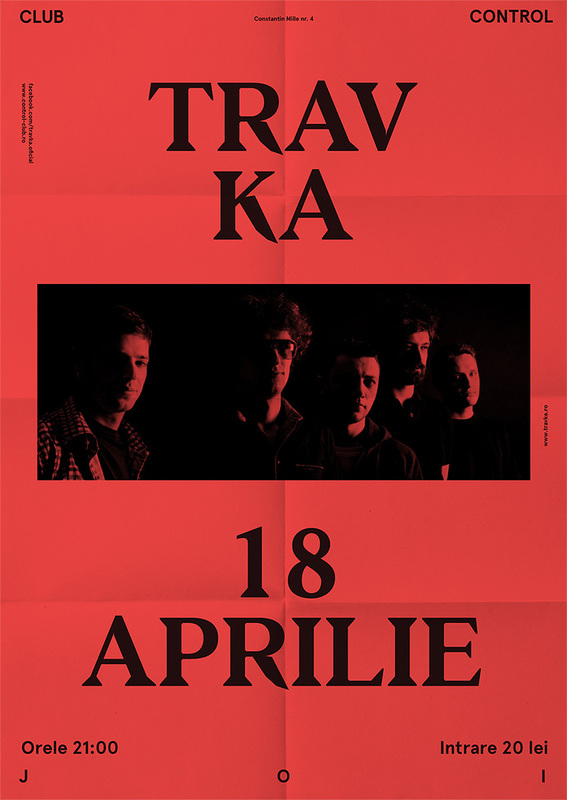 What is the state of the typographic scene in Romania? Things are growing at a rather slow pace here, unfortunately. Most of the designers work in a corporate environmen, therefore they have little scope for expressing actual creativity. What do you admire most about typography? Typography is powerful. I think choosing the right font or a font combination gives the whole design a personality of its own, and a powerful meaning so that people can relate to it. I usually take my time when choosing fonts because they can shape and define the entire project. If you were a poster what would you write on it? Abcdefghijklmnopqrstuvwxyz set in my own font. I’m working on a branding project for a commercial client, a catalogue for a photographer friend and beside that I’m constantly working on personal projects. So I hope 2016 will be intense. What are the differences between working for an advertising agency and going on you own? For me, working for an advertising agency was kind of energy and time consuming. It felt like I was in the wrong place. I knew I was going away from graphic design so after a while I decided to go on my own. So now I set my own rules. But what I like most is having more time to work on my own ideas and projects. What is the best advice you were ever been given? To work hard, have fun and to never stop learning. What is your advice to a young typophile that wants to be a freelancer? I’m still learning from mistakes so it’s difficult for me to give advices... I think it’s important to create and follow your own rules. And stay positive whatever happens. Oh, and never work for free. What is the soundtrack of this interview?